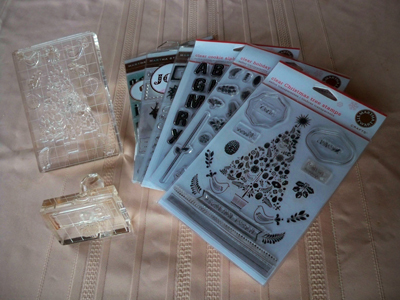 I am a big fan of these Martha Stewart clear stamps that you can arrange how you like on blank acrylic blocks. 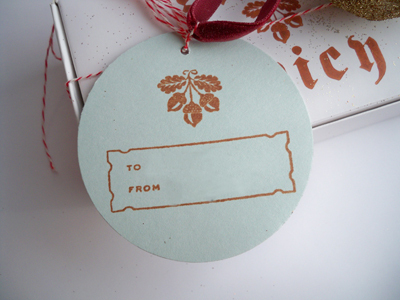 I used them to make gift tags. 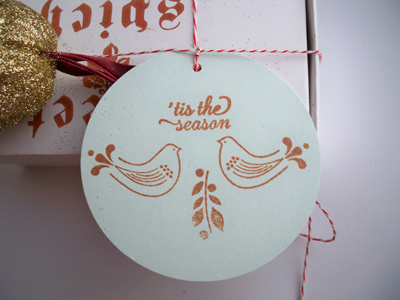 This year's designs included some acorns which matched my Christmas theme "nuts". 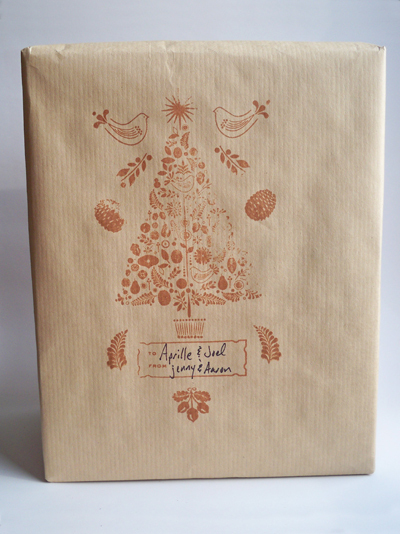 I used the huge Christmas tree with some other stamps to decorate our gifts. 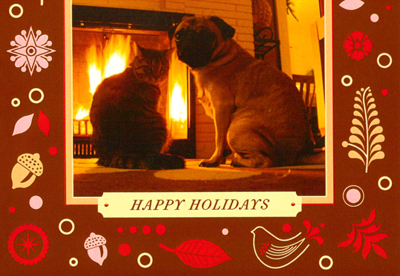 ... because they matched the motif on my Martha cards from the Kodak Gallery. Those are really nice stamps! And so versitile! I need to get back into stamping, it's so fun! 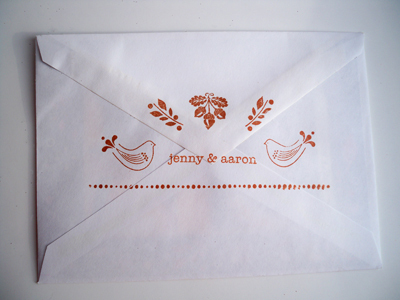 Are those the same stamps you used to stamp "sweet and spicy" on your packages? I really like them! These are beautiful - but it is the colour you've chosen that makes it really classy. Superb!